PLASMABIT® Milling technology for O&G well P&A reduces milling time and significantly reduces the work scope required for P&A of all types of wells, with a through tubing, rigless CT methodology. Oil & gas operators, service companies and governments need to significantly reduce well P&A costs to ensure robust balance sheets for future investment and M&A activity. PLASMABIT® delivers safe, environmentally sound low cost P&A. Oil & Gas Operators throughout the world are required, usually by local and international regulations and law, to seal (plugged and abandoned, P&A) post production wells to ensure no future leakage and environmental incident. Worldwide there are estimated to be circa 30,000 wells to be decommissioned in the next 15 years. In the Gulf of Mexico there are circa 4,600 offshore wells to be abandoned. 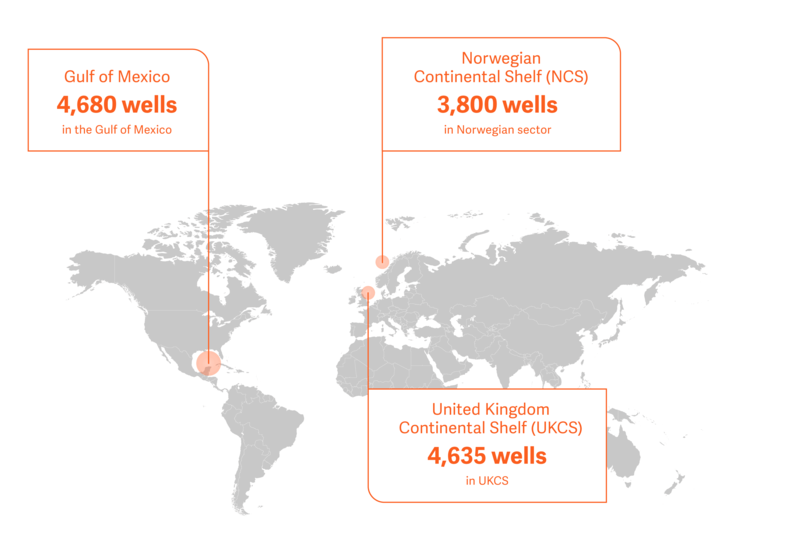 And in the North Sea region there are circa 9,000 onshore and offshore wells with 800 to be decommissioned in the near future. In Europe, the accepted and approved approach for P&A is to ensure a cement plug is placed over a length of between 30 and 100 meters at a suitable geological point. The cement should seal “rock to rock”. To allow this cement to rock bond, the well casing is milled away. Currently this is done with conventional milling tools creating swarf, wear and tear, and requiring many trips to the well. This is a slow and expensive process with various costly enabling works and associated equipment. PLASMABIT is able to do this through tubing, as this is the most important focus area for the industry. PLASMABIT® technology can be applied to the milling process greatly improving efficiency, not just in the milling, but also in reduced operational activities and equipment costs. Most importantly is the possibility to operate with a light well intervention vessel or jack up barge removing the need for a rig, i. e. a “rigless” through tubing approach. It also eliminates the need to pull out the well casing. PLASMABIT® is 30% faster than traditional milling methods. Milled particles are tiny and easy to remove; PLASMABIT® is contactless and so does not wear. All this means that P&A costs can be reduced by between 25% -50% depending on the well type.